Francis Harold Bartle was born on the 16th of May 1884 in Bermondsey, London to house decorator Henry Bartle and Eliza Maria Bartle nee Jeffery. He was baptised on the 8th of June 1884 at St Mary Magdalene’s church, Bermondsey, Southwark, London. At the time of the baptism the family lived at 7 Swan Mead, Bermondsey. 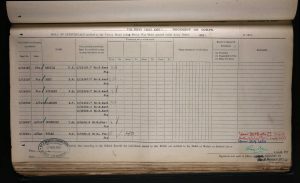 At the time of the 1891 Census, the family lived at 7 Swan Mead, Bermondsey, London. Henry was stil working as a decorator and Eliza was looking after their children. On the 12th of January 1891 Francis was admitted into the Webb Street School, Bermondsey. By 1897 the family lived at 30 Monson Road in Deptford, Greenwich. 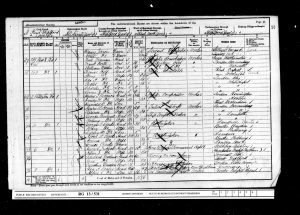 At the time of the 1901 Census, Francis Harold Bartle lived at 147 New Cross Road, Deptford. He was working as a pawnbroker’s assistant. Francis married Elsie Kathleen Britten in the 3rd quarter of 1910 in the Registration District of Guildford, Surrey. Elsie Britton was born on the 11th of August 1885 in East Horsley, Surrey to gamekeeper James Britten, born about 1861 in Whiteparish, Wiltshire and Naomi Britten, born about 1859 in Ockham, Surrey. Elsie Kathleen was baptised on the 13th of September 1885 at St Martin’s church, East Horsley, Surrey. 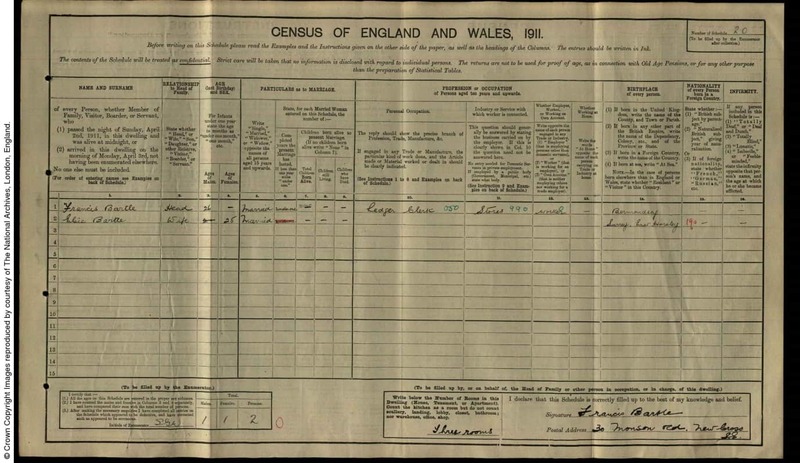 At the time of the 1901 Census, Elsie Kathleen Britten was a general servant of poulterer & shopkeeper Fitzherbert Hailstone at Church Street in Leatherhead. 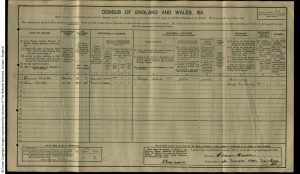 At the time of the 1911 Census, Francis and his wife Elsie lived at 30 Monson Road. Francis was working as a ledger’s clerk and Elsie was at home. The accommodation had three rooms. 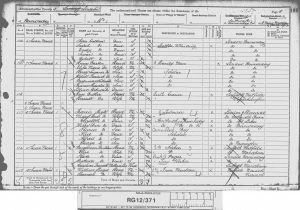 Francis and Elsie had a son Lawrence Edward born in the 3rd quarter of 1911 in Greenwich. 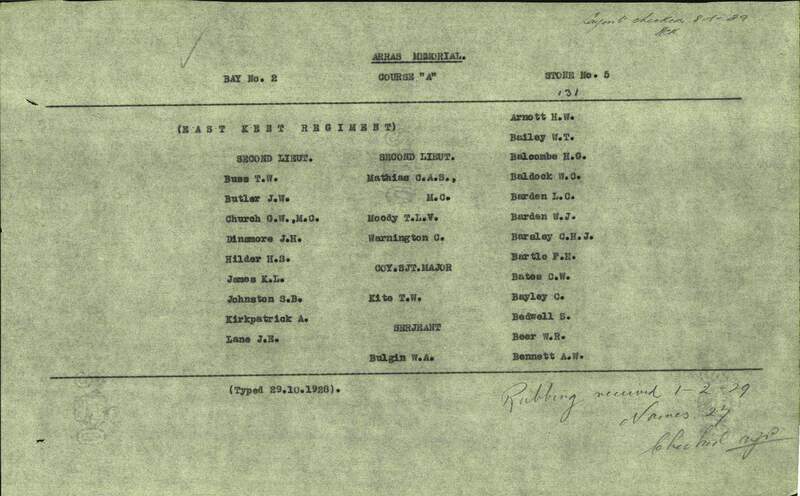 Francis enlisted in London into the 7th Battalion the Buffs (East Kent Regiment). His regimental number was G/19195. He was still living in New Cross. He died in an action on the 3rd of May 1917 in France. Francis received the British War and Victory Medals. 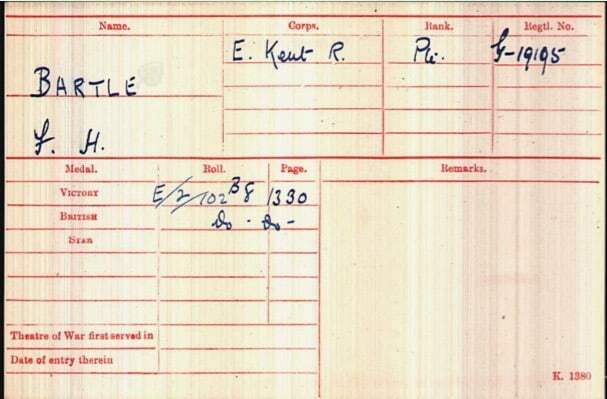 Elsie received £2, 4s and 7d on the 18th of May 1918 and a further £3 on the 29th of October 1919 in Soldier’s Effects. Francis is commemorated on the Box Hill’s War Memorial in Surrey and the Arras Memorial in France on panel reference Bay 2. Elsie re-married widower Herbert James Mitchell, by Banns, on the 22nd of November 1922 at St Michael’s church in Betchworth, Surrey. Herbert was working as a gamekeeper. The couple later lived at Keepers Cottage, Box Hill Road, Tadwood, Surrey. 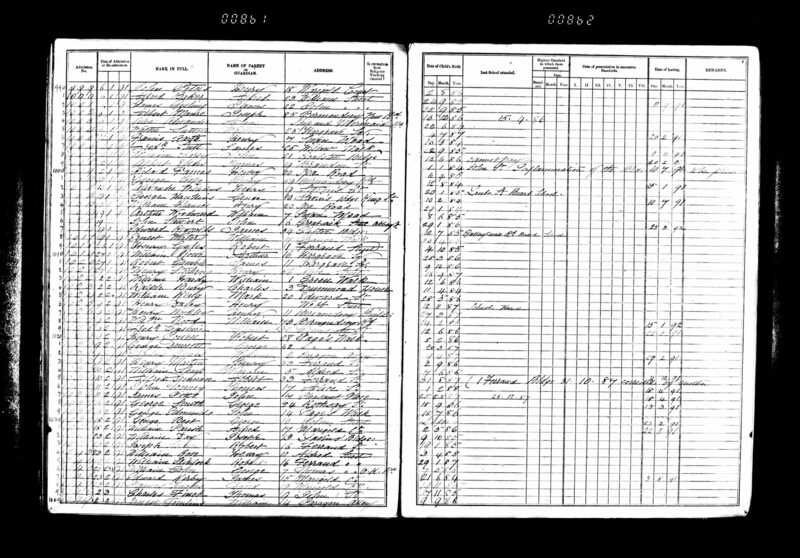 Francis’ father Henry Bartle was born in the 2nd quarter of 1850 in Bermondsey, London to tanner Benjamin Bartle, born about 1822 in Easton, Norfolk and Hannah McCarthy, born about 1823 in Ireland. His mother Eliza Maria Jeffery was born in the 3rd quarter of 1851 in Bermondsey, London to whiting maker Henry Jeffery, born about 1828 in Bermondsey, London and Mary Jeffery, born about 1827 in Bermondsey, London. 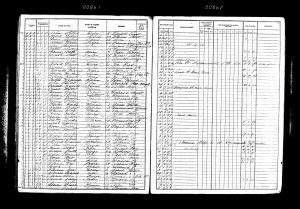 Henry Bartle and Eliza Maria Jeffery married in the 3rd quarter of 1877 in the Registration District of St Olave, Southwark, London. 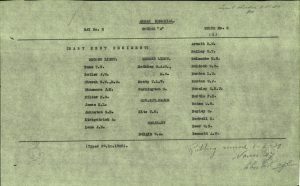 Francis had four known siblings: Henry Lawrence born about 1879; Robert Frederick born about 1880; Benjamin William born about 1882 and Lillian Gertrude born about 1888, all in Bermondsey, London. 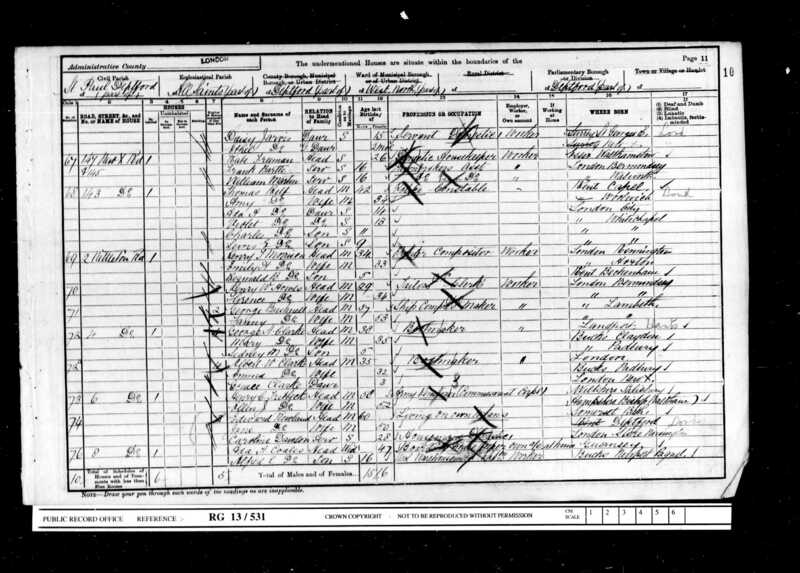 At the time of the 1901 Census, Francis’ family lived at 30 Monson Road, Deptford, Greenwich. Henry was working as a house decorator and Eliza was at home. 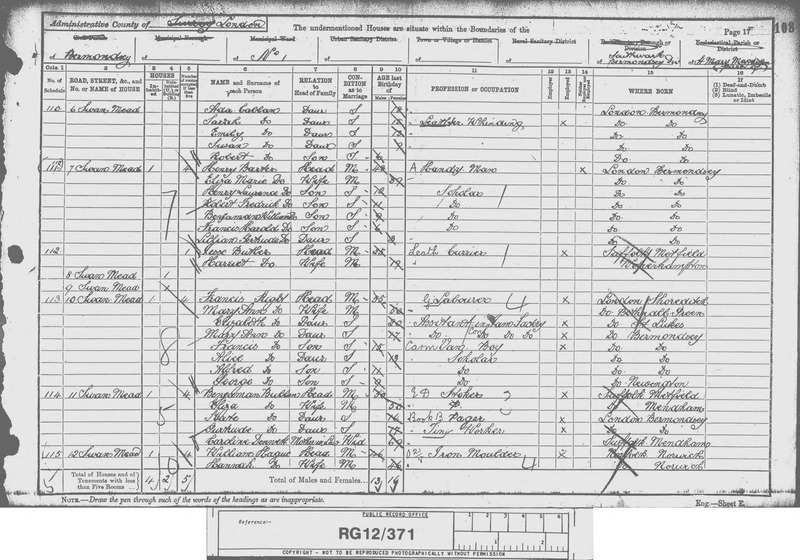 The household further comprised of their children: clerks Robert and Benjamin William and Lillian Gertrude. 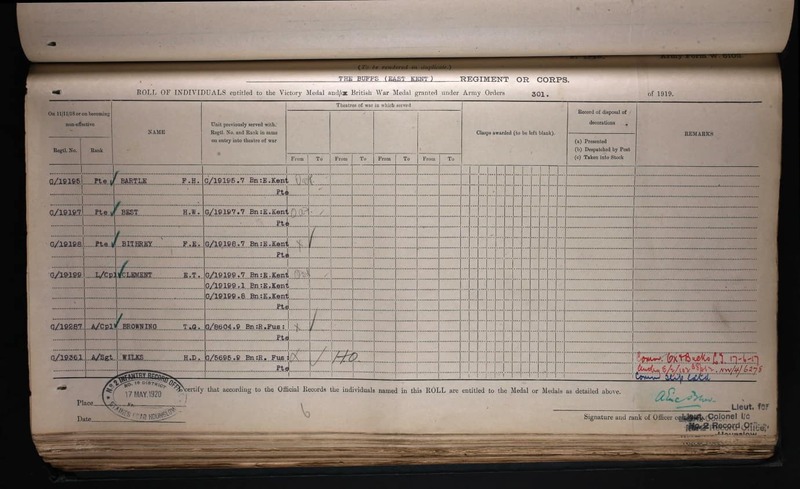 At the time of the 1911 Census, Francis’ parents lived at 30 Monson Road, New Cross. Henry was working as a warehouseman and Eliza was at home. Their daughter, waitress, Lillian was also living there. Eliza stated that she had given birth to nine children of whom six were still alive. The accommodation had four rooms. Francis and Elsie’s son Lawrence married Ethel Mary Adderley in 1939. Elsie had moved to Grange Lane, Seighford, Stafford. 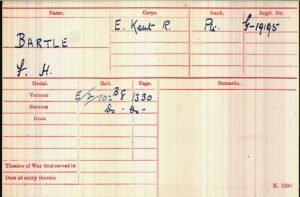 Elsie died on the 15th of April 1957 at The General Infirmary in Stafford. She left to her husband Henry James Mitchell £525, 18s and 9d in the Probate.